Greg was a wonderful salesman! Diego in the service department is simply awesome. I would argue their is not another service manager as customer service driven as Diego, and frankly hope the dealership managers and owners understand how valuable he is, and pay him handsomely. This review is long overdue. 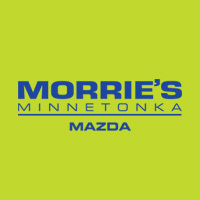 Huge shout out to Steven King and Danny Truong for making my leasing experience at Morrie’s Mazda Minnetonka so enjoyable. They went above an beyond and stayed long past business hours to help me walk out the door with my second lease of a Mazda CX-5. They were both very personable and relatable and did a fantastic job explaining everything to us and answering our questions. Post-sale they have been extremely responsive to emails and seamlessly facilitated the installation of my mobile start. I would happily do business with them again!! !I also enjoyed the most helpful service experience to date, when my mobile start was installed. Diego was so very helpful and kind. He took the time to help me register my account online and helped make sure the app was installed and I understood how to use it. He did everything with a smile and truly seemed to care that o had a great experience and left the service department with everything I needed. What a gem!! He adds value to the service team at Morries and deserves recognition!!! Thanks Diego!!! Diego Gonzalez is my man! Great guy and great customer service and ethics. He explained things that needed to be fixed but didn’t pressure at all. I’d give him a raise and an award. I’ve worked as a car salesman once and these guys do a lot of great work in the garage. I test drove a car on Sat March 30th. Anne B. helped me. She was so nice and I felt relaxed through the whole process. The only reason I didn't give it full stars is I didn't buy the car as I felt it wasn't as good in shape as I thought (see it through the pics online). Regardless a good experience and beautiful day. Thanks again Anne for your help/patience. I always love taking my car in here. The staff is super friendly and helpful. The remodel is going really well and it's beautiful inside. It's nice that the lounge where you wait has snacks and water and coffee. The service is always good and I've never had any further issues with my car. My new car purchase went well. Holt in the service department is outstanding! Great guy and he goes the extra mile!